What are the advantages of waterfront living? Have you ever wanted to live along a waterfront? It’s a dream living situation for many. Why do people long to live on a waterfront? Waterfront living is an ideal residential atmosphere because prime property is built on waterfronts. You can reap great benefits from waterfront living and we are here to tell all about the great benefits. 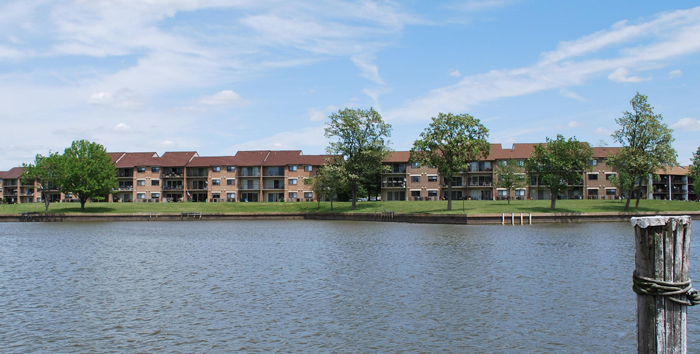 Waterfront living allows residents to feel safe and peaceful after a long day. By living on the waterfront, you do not have to plan to go on expensive trips to have relaxation or go on a fun escapade. You can enjoy live entertainment, go on a long walk/ run or even have a family picnic along the waterfront. If you are big on water recreations, you can go sailing and take in the spectacular views of nature. Baltimore waterfront real estate is in popular demand because it offers a secluded neighborhood within a bustling city while giving residents the opportunity to enjoy community amenities that other areas of town can only dream about. There’s nothing quite like a Baltimore waterfront community. It’s beautiful. It’s convenient. If you’re lucky enough to live at a waterfront luxury apartment, you’ll have great amenities to enjoy right at your fingertips. A waterfront property is a retreat you can enjoy without ever leaving your doorstep or patio. You can experience all this and more at the luxury apartments of Harborside Village. Here you can experience waterfront living at its finest. Harborside Village distinctive waterfront community is convenient for people whom use land and water transportation. The waterfront community is located on 26 acres of land and overlooks Gundpowder Cove. There are plenty of shops and restaurants in the neighborhood. Have your choice of a one or two bedroom luxury apartment home viewing the courtyard or waterfront. Storage space and other great amenities. Categories: The Best of Maryland Waterfront Communities | Tags: Baltimore waterfront community, Baltimore waterfront real estate, Harborside Village, Waterfront community, Waterfront luxury apartment, and What are the advantages of waterfront living? This entry was posted on Thursday, December 19th, 2013	at 6:33 pm	. Both comments and pings are currently closed.